The Joint Admission Matriculation Board, JAMB has released the CBT Tips, Hints and Tricks which contains all the necessary information candidates wishing to sit for the UTME exams needs to know. The JAMB CBT Tips, Hints and Tricks contains the visual illustration of the CBT Exam Guide, CBT Without Mouse, CBT Frequently Asked Questions and UTME Frequently Asked Questions [FAQS]. 1. WHAT IS COMPUTER BASED TEST (CBT)? 2. WHY COMPUTER BASED TEST (CBT)? 3. WHAT ARE THE BENEFITS OF CBT? It can give immediate feedback. 4. WHAT ARE JAMB CBT CENTERS? JAMB CBT centres are examination locations across the country where candidates can take Computer Based Tests (CBT). These centres are equipped with modern infrastructure that would enable the conduct of CBT. 5. WHERE ARE THE JAMB TEST CENTRES LOCATED? JAMB CBT centres are located in all the thirty-six states of the Federation and the FCT. 6. 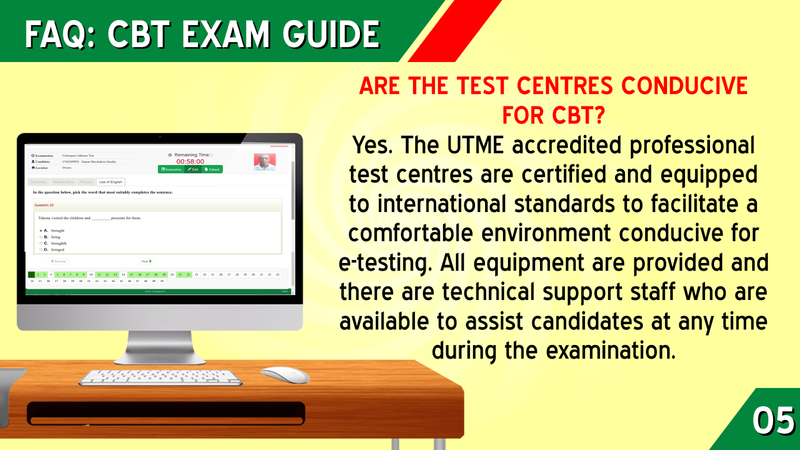 ARE THESE JAMB CENTRES WELL EQUIPPED FOR CBT? 7. 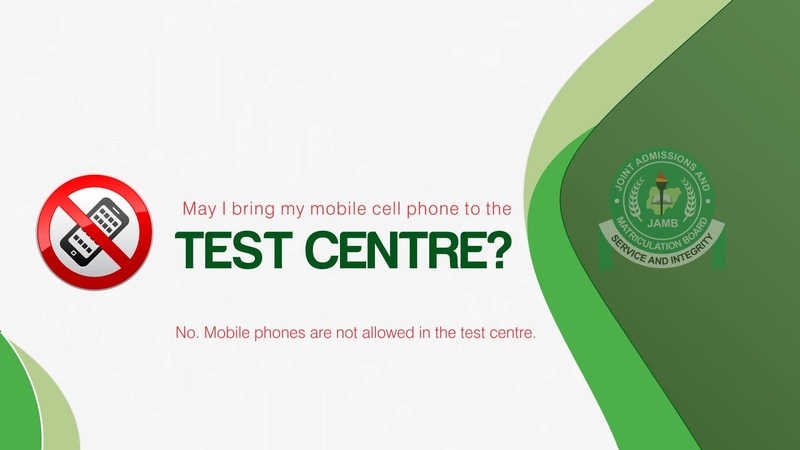 WHAT DOES THE TEST CENTRE LOOK LIKE? 7. 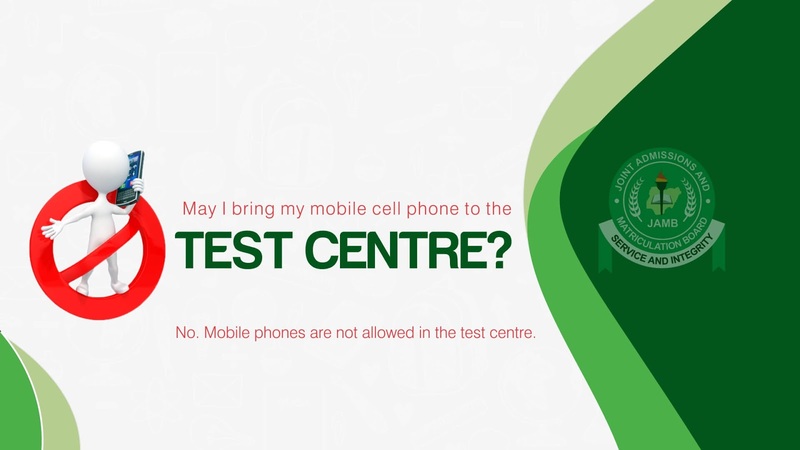 ARE THE JAMB TEST CENTRES CONDUCIVE FOR CBT? Yes. 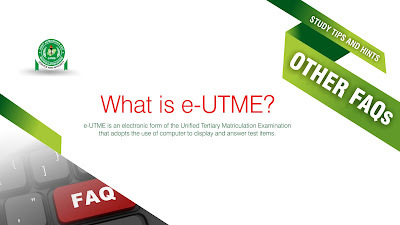 The UTME accredited professional test centres are certified and equipped to international standards to facilitate a comfortable environment conducive for e-testing. 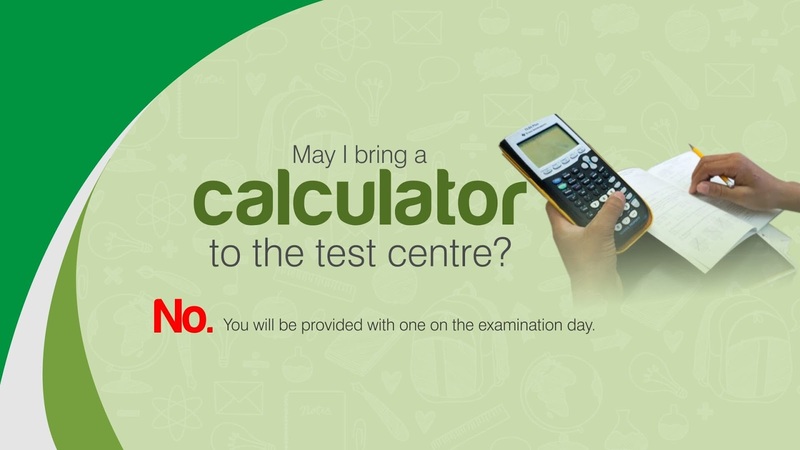 All equipment are provided and there are technical support staff who are available to assist candidates at any time during the examination. 8. HOW MANY CANDIDATES ARE ATTACHED TO A COMPUTER? 9. ARE INTERNATIONAL JAMB TESTING CENTRES AVAILABLE? Yes, UTME accredited testing centres are available in all the six countries where JAMB conducts its examinations (United Kingdom, Saudi Arabia, South Africa, Republic of Benin, Cameroun and Ghana). 10. 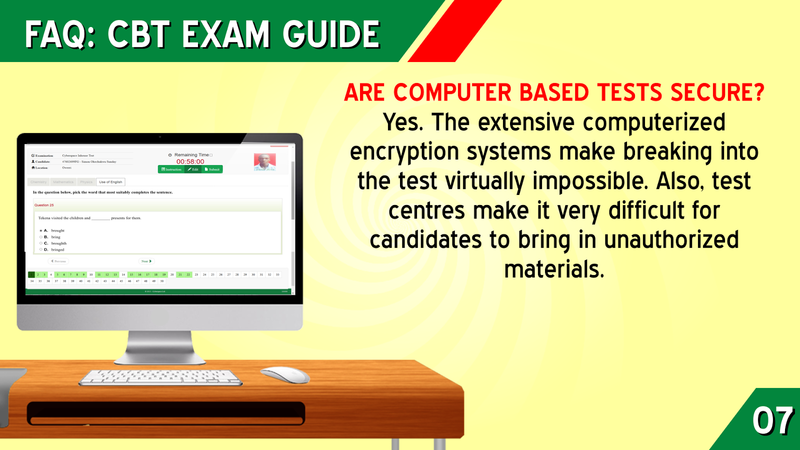 ARE COMPUTER BASED TESTS SECURE? 11. 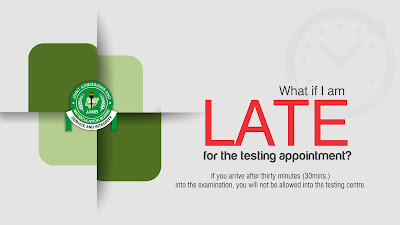 HOW DO I START THE JAMB TEST? You are expected to first key in the registration number into the computer and click on “Next”. You are to read and follow the instructions that come up. Now, click on “Start Exam”. 12. HOW DO I KEY IN MY ANSWERS ON A COMPUTER BASED TEST? Answers to questions may be entered into the computer in either of two ways. You may key in answers by clicking on the option you believe to be the answer or typing in the letter of the option. Answers are recorded directly into the computer. Watch Short Video on JAMB CBT Exam Video Guidelines – [2018-2020]. 13. 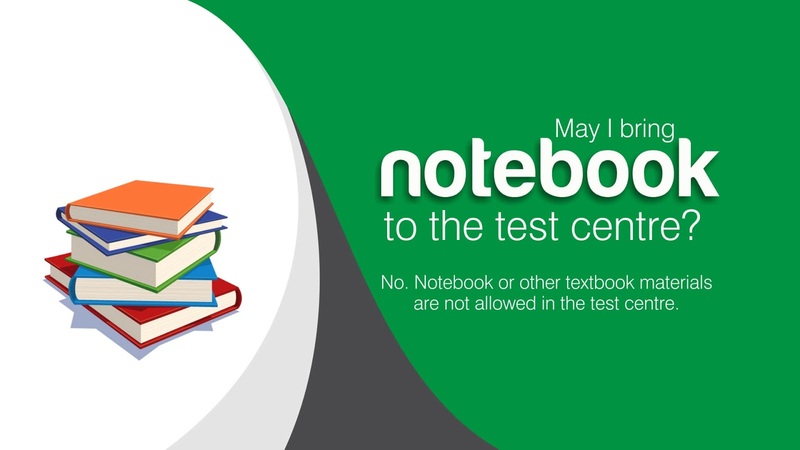 MAY I REVIEW MY ANSWERS OR SKIP QUESTIONS AND ANSWER THEM LATER WHEN TAKING A CBT? 14. 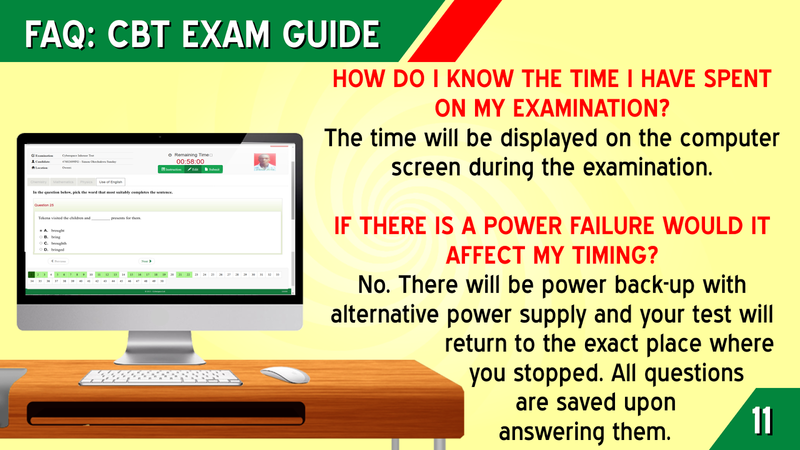 HOW DO I KNOW THE TIME I HAVE SPENT ON MY EXAMINATION? 15. IF THERE IS A POWER FAILURE WOULD IT AFFECT MY TIMING? 16. HOW DO I END THE TEST? When you have answered and reviewed all the questions, you would be required to press the S button. 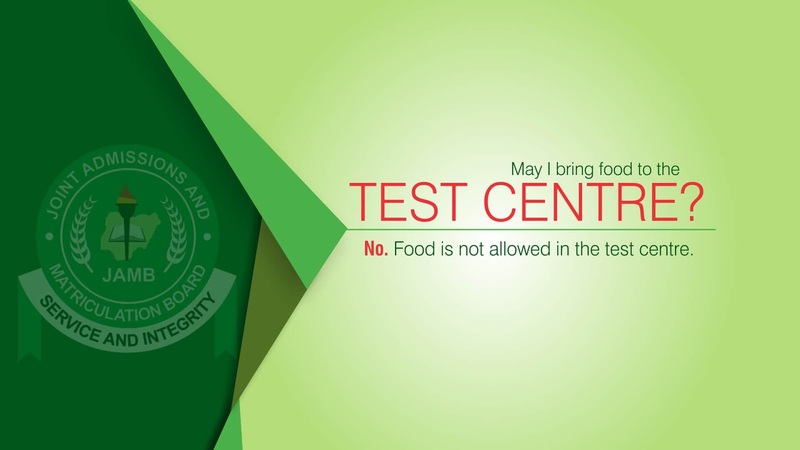 Another box will ask you to confirm that you are ready to end the test. Once you confirm that you want to end by pressing S again, the test will close and you will not be able to regain entry. 17. WILL THERE BE AUDIOVISUALS ON THE COMPUTER BASED TEST? 18. 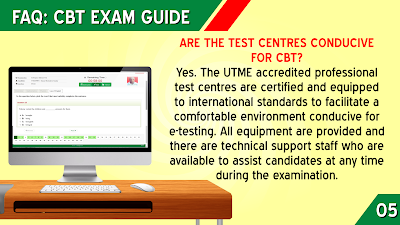 CAN I PRACTICE TAKING THE CBT BEFORE THE ACTUAL EXAMINATION? Yes, you can practice taking the test during the mock exam (coming soon). 19. IS KNOWLEDGE OF COMPUTER PROGRAMMING NECESSARY TO TAKE A TEST ON THE COMPUTER? No. The test administration program only requires you to be able to use the mouse or keyboard to answer questions. 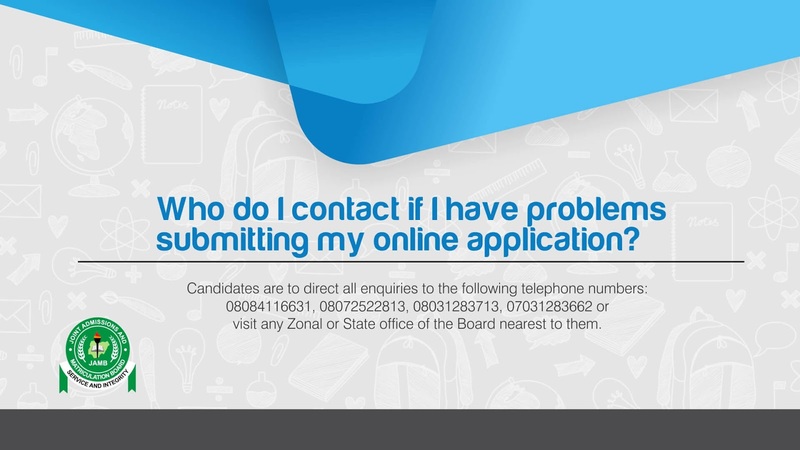 20. Who do I contact if I have problems submitting my JAMB online application? Candidates are to direct all inquiries to the following telephone numbers: 08084116631, 08072522813, 08031283713, 07031283662 or visit any Zonal or State office of the Board nearest to them. 21. 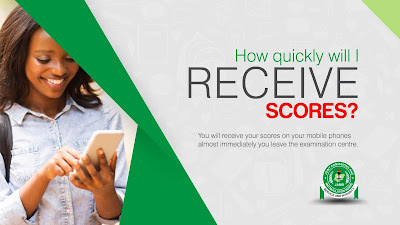 How quickly will I RECEIVE MY JAMB SCORES? 22. 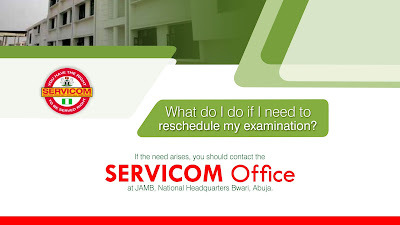 What do I do if I need to reschedule my JAMB examination? 24. 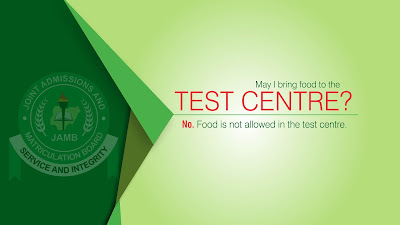 May I bring food to the JAMB TEST CENTRE? 25. May I bring my mobile cell phone to the JAMB TEST CENTRE? 27. 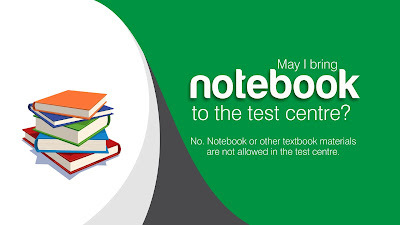 May I bring notebook to the JAMB test centre? 28. May I bring a calculator to the JAMB test centre? 29. 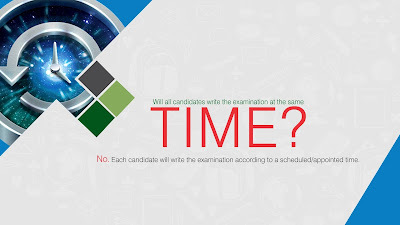 Will all candidates write the UTME examination at the same TIME? 30. 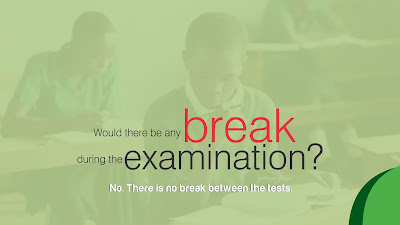 Would there be any break during the JAMB UTME examination? 31. What if I am LATE for the testing appointment? Watch Videos on our Youtube Channel Here.